Kentucky scored at least 100 points five separate times this year so it is no surprise that the Wildcats’ offense has grabbed most of the headlines. 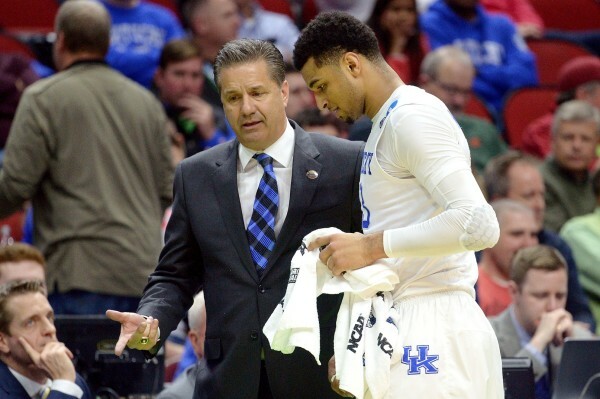 When the season was on the line on Sunday afternoon, however, it was instead a strong defensive performance that propelled John Calipari‘s club into the Sweet Sixteen. In a season-low 62-possession grinder with the Shockers, the Wildcats proved they can win with defense by shutting down one of the 10 best offenses in college basketball. Kentucky quietly owns a top 10 team defense (eighth in adjusted defensive efficiency, per KenPom), and it will need it to continue improving if this season is going to be extended. With UCLA looming and a potential Elite Eight matchup with North Carolina beyond that, the Wildcats will need to do better than allowing 97 points and 1.17 points per possession (PPP) to the Bruins and a season-high 100 points and 1.27 PPP to the Tar Heels. The SEC regular season championship was most likely on the line Saturday when SEC co-leaders Kentucky and Florida met in Lexington. Both teams entered the game at 13-2 in conference play (23-5 overall), but somewhat trending in opposite directions. The Gators entered Rupp Arena on a nine-game winning streak, including an 88-66 shellacking of the Wildcats in Gainesville. 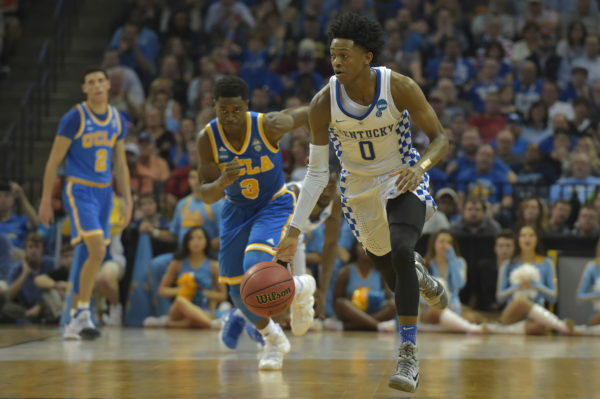 Kentucky, on the other hand, had lost three of four in late January and early February before putting together a shakier five-game winning streak that included tougher than expected games against SEC doormats LSU and Missouri. In the end, the blue mist of Rupp Arena worked its magic, as Kentucky rode Malik Monk to the 30 second-half points to prevail with a 76-66 victory. With one week left in the regular season, this game effectively decided the SEC regular season crown, but it also told us a lot about what we can expect from the SEC’s best this postseason. Here are three takeaways from this weekend’s game. Malik Monk is heating up (photo via The Big Lead). 1. Malik Monk can shoot Kentucky into the Final Four. 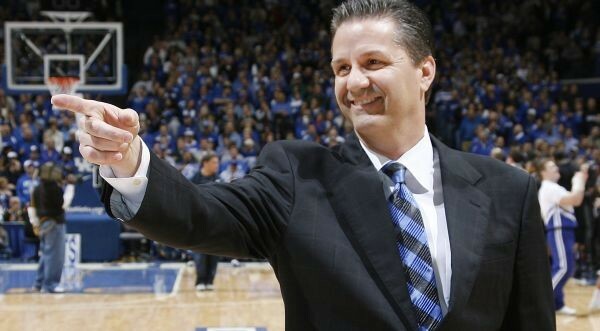 It is rare for the Big Blue Nation to be critical of its Wildcats, but Kentucky fans have been overly pessimistic lately about the likelihood of John Calipari advancing to his fifth Final Four in the last seven years. It is easy to see why. Kentucky’s tendency to become offensively stagnant because of its inconsistent three-point shooting means even its wins are not coming easily. The first half on Saturday was more of the same, with the Wildcats shooting less than 30 percent from the field. Then Monk happened. 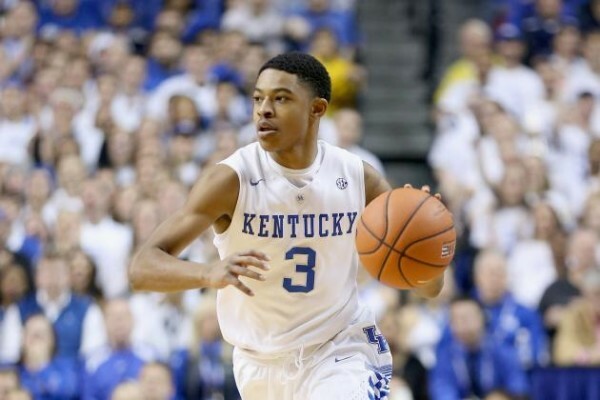 The gifted freshman blew up to score 30 of his game-high 33 points in the second half, proving once again that Kentucky is never out of a game so long as he is on the floor. The scary part for the rest of college basketball is that Monk has gotten even more dangerous since conference play began. His three-point shooting percentage has increased to 45 percent in SEC play (from 42 percent on the entire season) and he is drawing an absurd 6.0 fouls per game. Monk’s rapidly developing arsenal as more than just a catch-and-shoot player could make him unstoppable down the stretch. Calipari would love to find some additional offensive consistency outside of Monk (Bam Adebayo could be the answer), but the freshman is already good enough to carry the Wildcats for long periods as it is. Late in conference play is usually the point when young teams start to click. John Calipari’s latest edition of a young team at Kentucky, however, appeared to be regressing during a recent five-game stretch where the Wildcats lost three games. Over that period, his team was held under a point per possession three times — after doing so only twice to that point in the season — and gave up more than a point per possession to all five opponents. It wasn’t a very good run of play, but perhaps the predicted demise of Kentucky came far too soon. Calipari’s defense came together on the road against Alabama on Saturday (holding the Tide to 0.83 points per possession), and his team followed that up with its most complete performance in almost a month against Tennessee earlier this week. 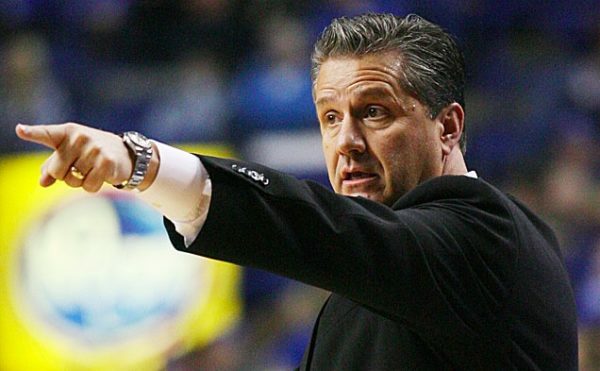 What did Kentucky recently change that Calipari hopes to ride into March? In this edition of Freeze Frame, we examine several factors that will help the Wildcats keep their winning streak alive. Per usual in the SEC, there is very little question that Kentucky is once again the prohibitive favorite to win the league. While there is always some early-season speculation about how things will turn out, there is often little doubt that the Wildcats will roll into Nashville as the #1 seed at the SEC Tournament. We finish our capsule-sized preview of the league with a look at of course Kentucky, but also the three teams with the best shot of dethroning the SEC giant. Within the last week we published capsules on the SEC’s bottom tier of teams (#14-#10) as well as the middle tier (#9-#5). Today we tackle the top tier. Team Analysis: The Aggies lost quite a bit from last year’s Sweet Sixteen team, including their two leading scorers, Danuel House and Jalen Jones. But along with Davis, a preseason all-SEC selection who has a great chance to break out, and guard D.J. Hogg, expectations remain high in Aggie-land. Anything short of a return to the Big Dance this season will be a disappointment. Burning Question: Can Davis make the jump? 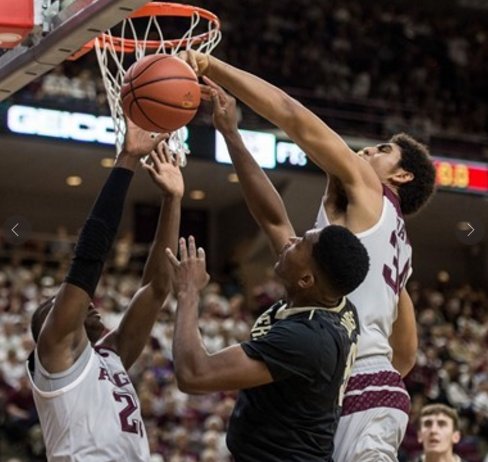 Texas A&M had the luxury of two great scorers in House and Jones last season, but the 6’10” center Davis benefited most from an experienced point guard (Alex Caruso) who could deliver the ball to him in positions that allowed him to be effective. 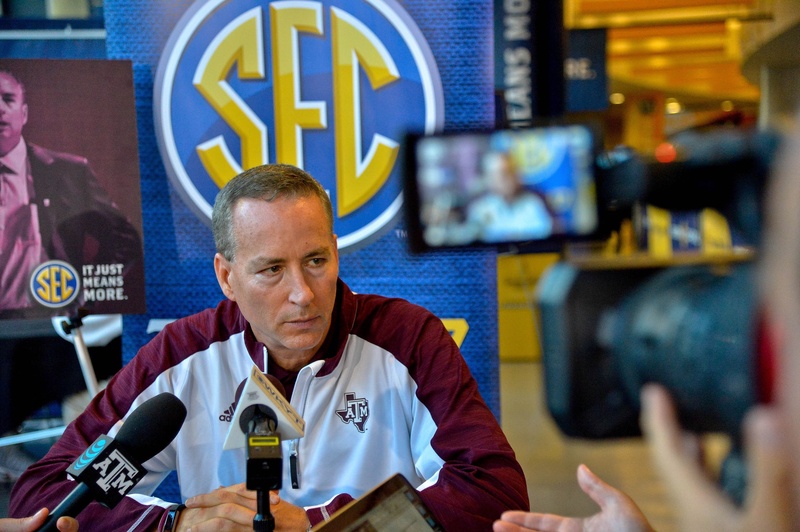 Much more will be expected from the sophomore this year, and for Texas A&M to come through on expectations, Davis will have to become one of the elite players in the SEC. The college basketball season is now less than a week away and one of the sports premier programs resides in Lexington, Kentucky. We reached out to SECCountry.com‘s Kentucky basketball beat writer Kyle Tucker to discuss his time covering the Wildcats and what to expect in the upcoming season. The following interview was edited for brevity and clarity. Rush the Court: You’re currently the Kentucky beat writer for SECCountry.com. Can you talk a little bit about how you ended up there? Kyle Tucker: I was covering Virginia Tech for eight years and then wanted to get a little closer to home. I’m from near Nashville, Tennessee, and knew that the Kentucky beat was coming open at the Courier-Journal in Louisville. I got that job and covered Kentucky football and basketball for five years at the Courier-Journal and then got a call that the Atlanta Journal Constitution was starting a new website to cover the league, SECCountry.com, and talked with them for a while. I’m their football columnist in the fall and cover Kentucky basketball, same as I did before, during basketball season. That’s how we got here. RTC: You’ve been on the Kentucky beat for a while. What’s the most memorable Kentucky game you’ve covered? In some ways, the final Saturday of the SEC regular season played out like many thought it would in October. Kentucky’s Skal Labissiere altered shots left and right; LSU’s Ben Simmons nearly put together a triple-double; and Kentucky, LSU, Vanderbilt and Texas A&M all entered the weekend with a shot at a share of the regular season title. Ultimately it was the Aggies and Wildcats that became this season’s SEC co-champions, and while that result isn’t at all surprising, the path that led both teams there certainly is. Tyler Davis and the Aggies are charging into the postseason (12thman.com). The Wildcats’ share of the conference title is a testament to the coaching and player development of John Calipari. Kentucky appeared vulnerable in December losses to thoroughly mediocre UCLA and Ohio State teams, but Calipari coaxed a surprise season from Derek Willis and successfully navigated injuries and inconsistency to win the league. The title is assuredly a little sweeter for an Aggies program that notched its first conference championship since sharing the 1986 Southwest Conference title with TCU and Texas. During that same period, the Wildcats have won a share or more of 10 SEC regular season titles. On February 2, Kentucky inexplicably blew a 21-point first half lead against a mediocre Tennessee team in Knoxville as the Vols upset the Wildcats. John Calipari’s team at the time sat 6-3 in league play, while Texas A&M, at 7-1 and on a major roll, appeared in complete control. LSU, which had won at Auburn on the same night, was also ahead of the Wildcats at 7-2 and the Tigers finally appeared to be hitting their stride. Just 17 short days later, the Aggies have now lost four of five games and LSU is coming off a perplexing home loss to Alabama. 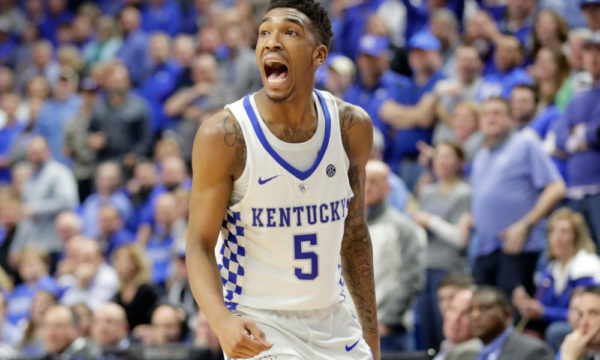 For its part, Kentucky has not lost since, and after exacting some revenge against Tennessee on Thursday night with an 80-70 win in Rupp Arena, it’s difficult to argue that the Wildcats are not once again the team to beat with five games remaining. The more things change, the more they stay the same. 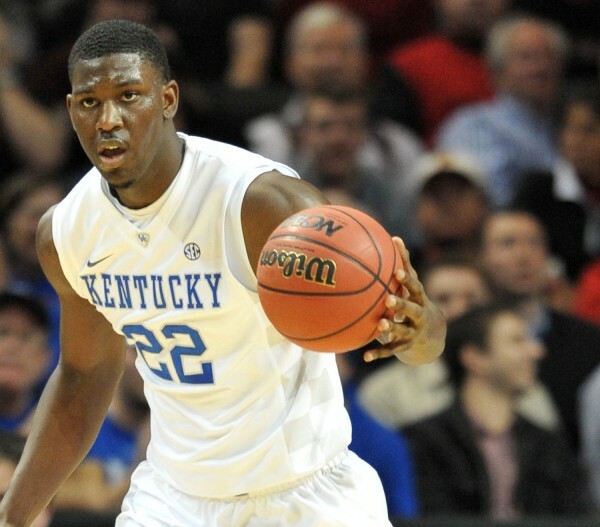 The Wildcats have flourished despite losing their most consistent low-post threat and third-leading scorer, Alex Poythress, to injury. But thanks to dominant backcourt play from Tyler Ulis and Jamal Murray as well as an increase in production from junior forward Derek Willis, Kentucky has seized control of the league race and appears ready to climb the national rankings back into the top 10. Willis, who hardly played during his first two seasons in Lexington, scored a career-high 25 points in Thursday night’s win and has capably filled a void left by Poythress’ absence and the inability of freshman Skal Labissiere to consistently produce.